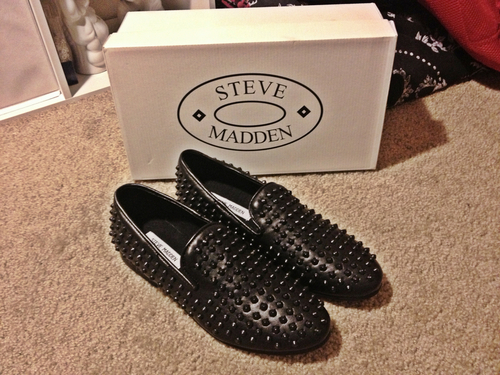 My Steve Madden Jagggrr loafers finally arrived. I am in love with these shoes. 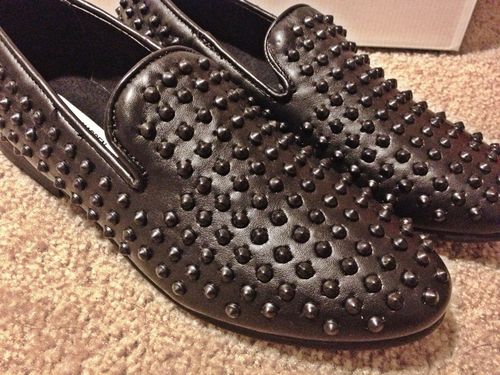 They are very similar to the studded loafers created by Christian Louboutin, but at the fraction of the price! They are definitely going to be a conversation piece. I typically wear a size 8.5 or 9, but I thought the 8.5 was a bit snug when I tried them on so I bought these in a size 9 instead.